Tomorrow! 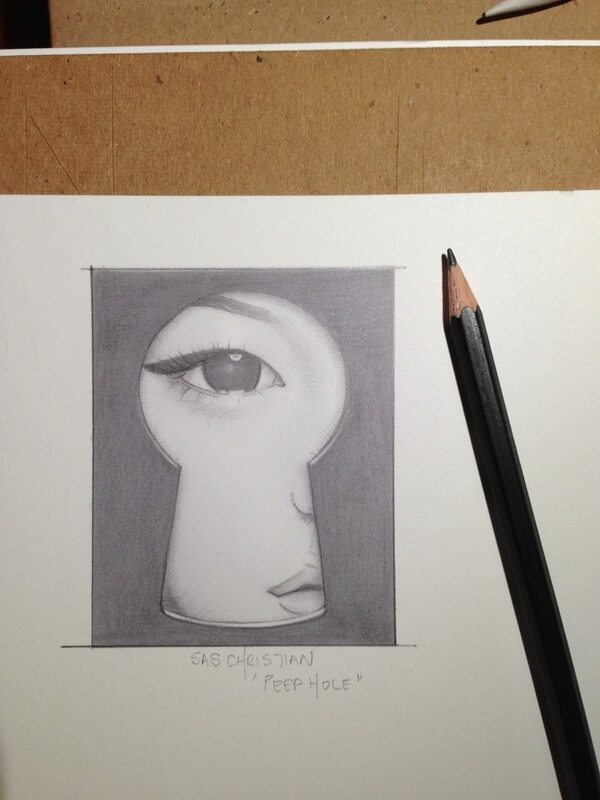 Saturday the 7th of June I will be releasing for sale 3 of my new “Peephole” series paintings. I will post them on here at Noon and they’ll be available on our online store. Yay!